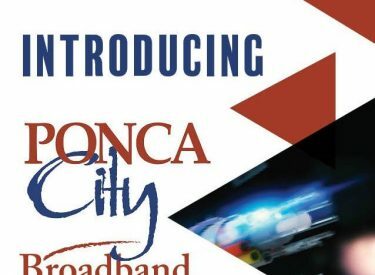 Ponca City is introducing the new Ponca City Broadband utility. Residents in the first district will see door hangers on their homes which will give them information about signing up for the new utility. It offers three levels of high speed broadband service which is 100 percent fiber with no contracts and no data caps. 50 megabits is $60 a month; 100 megabits is $100 a month, and 1 gigabit is $250 a month. An activation fee is required for all new customers that can be paid in full at the start or over a two-year period. Call 767-0311 for more details!